While some American athletes took home medals from the Sochi Games, others took home something a little bit bigger, furrier and a whole lot cuter – local stray dogs. Abandoned and doomed to a life on the streets in Sochi, these dogs captured the hearts of foreign athletes during their stay in Russia and now a number of athletes are working hard to give these animals a new life in America. Included in this list is American slopestyle skier Gus Kenworthy, who became so attached to a family of stray dogs he found near the media center in Sochi that he decided to take them home with him. However, after taking nearly a month to get them out of Russia, two of the dogs have since died but the remaining five, a mother and her puppies, finally arrived in New York. on Mar. 14. “It’s just incredible. It feels so nice to have them home here. These dogs have traveled thousands of miles, and it’s been many, many weeks of this whole process finally coming to an end,” Kenworthy told USA Today on Mar. 14. “They’re very sweet. They’re very comfortable around people. They’re very docile. They’re more than happy to be held and played with,” he said. Kenworthy will keep two of the puppies while the litter’s mother will live with Kenworthy’s mother. Another puppy will live with this brother and the last puppy will be adopted. Former athlete and current U.S. press officer for bobsled and skeleton, Amanda Bird, also adopted a dog and named it Sochi. However, she is still trying to bring the dog home. Currently quarantined in Los Angeles, Sochi is likely to remain there for another two months, as it has not had certain vaccines and had some infections. “This story is about more than stray dogs and the compassion we feel for and about them, but it’s also about the compassion we have for one another,” said Bird, reported The Washington Post Mar. 1. “Isn’t that what the Olympics teach us? It’s about uniting together on a global level, regardless of where we are from or what we do. I’ve just never felt it on this level,” she said. According to data from Sochi’s dog shelter PovoDog, approximately 2,000 strays are roaming the city streets. Many of them were looked after and fed by construction workers building the Olympic venues. However, the dogs were left on their own again after construction finished. After reports that officials in Sochi were planning to exterminate all local stray dogs prior to the games, many foreigners began trying to adopt them. International animal protection organization Humane Society International created a webpage with information on how to adopt dogs from Sochi and even wrote a letter to President Vladimir Putin, urging him to forbid the extermination. Finally, after the various campaigns, land was provided by the local government for a new dog shelter. Russian aluminum billionaire Oleg Deripaska donated $15,000 to open the facility and has pledged to spend as much as $56,000 a year to keep it running, reported Bloomberg on Feb. 11. According to Deripaska, his first dog was found in the street and it was his best friend for five years. The PovoDog shelter sounds like the Russian word for “leash” and aims to care for homeless animals. Already there are more than 100 dogs living in the new shelter. According to a shelter representative, Americans make up nearly 90 percent of those wishing to adopt a pet. The shelter is also receiving a number of adoption applications from Canada and Germany, with a growing trend being seen now in adopting abandoned strays. “It is considered prestigious in Russia to have a dog from a fashionable breed. If you have a mutt or several mutts, you are regarded as strange, while in Germany people have five or six mutts and are proud of it. If you see a mutt in Germany, you can be sure it was rescued from Russia, Romania or Greece,” said Maria Gurjanova, a representative of Hundehilfe Russland, speaking to The St. Petersburg Times. The group, organized by Russian women in Germany, supports three animal shelters in St. Petersburg and Vyborg and tries not only to find new German homes for Russian dogs but to improve the general situation for Russian animals. “There was a widespread opinion in Europe that Russian dogs are huge, exotic, angry and black. We needed time to prove the opposite,” said Natalya Gracheva, chairwoman of Hundehilfe Russland, speaking to The St. Petersburg Times. Families in Germany adopt approximately ten to 20 Russian dogs every month. These are often old, physically disabled and ill dogs. Viipurin Koirat Ry (“Vyborg Dogs Association”), a non-profit voluntary organization that arranges adoptions to Finland, finds homes for approximately 200 dogs each year. “Adopting a homeless animal is an ethical choice. Many Finns choose to adopt rather than support dog breeding. In our own country we don’t have a stray dog problem. 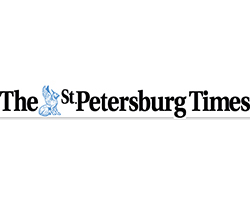 There are also other organizations that bring dogs from other countries like Spain, Estonia and Romania,” said Aino Arjas, chairman, Viipurin Koirat Ry, speaking to The St. Petersburg Times. Viipurin Koirat Ry supports two shelters in Vyborg by arranging adoptions, giving financial aid and bringing food, medicine and construction materials to the shelters from Finland. Its representatives visit Vyborg once or twice every month. “Some of the dogs [adopted in Finland] are originally from St. Petersburg, but mainly they are from villages and the countryside around Vyborg. All the dogs come to us through two shelters located in the Vyborg area. Often they are born as unwanted puppies. We visit the shelters and meet the dogs before they are taken in to our adoption program,” said Arjas. Viipurin Koirat Ry has a website that with profiles of all its dogs. People are then able to send in adoption application forms. Workers then sort through and conduct phone interviews with the most suitable applicants. “We try to select only the best and most promising homes. Not everybody gets a dog from us. The dogs have already been abandoned before and they need a committed home,” Arjas said. The adoption process takes a lot of effort from both sides, evident in the recent adoptions by U.S. athletes. “We comply with the requirements of import regulations. All dogs have to be micro-chipped, vaccinated against rabies and given medication against echinococcus parasites before importation. A veterinarian checks all documents at the border customs,” said Arjas. Transportation is also expensive. According to Humane Society International, the cost can range from $150 to $2,000 or more. In addition, some countries have very strict quarantine policies. “The adoptive owners from Germany collect money, pay all expenses and help to buy medicine for the dogs in Russia. They are unique people, who are ready to give the last that they have to save the lives of these dogs. I am so proud of them,” said Gurjanova. “It takes quite a lot of effort on our part too, for example, to learn about all the dogs, manage the website, interview the owner candidates and then offer them support through the process as well as continued support if difficulties occur. Also we raise funds and collect food and goods for the shelters. We are only a small group of people, but we use almost all the free time that is left after our primary jobs and taking care of our own families and animals - and we do this work with all our hearts,” Arjas said. “People often misunderstand why Germans need our dogs. But they are a very charitable nation, they adopt older, sick dogs. We once had a pet with a broken spine and in just one day 12 families wanted to adopt him,” said Gracheva. “We never get donations from Russians, and it’s a shame,” she added. Unfortunately, there are con artists who take advantage of people’s desire to help. A woman once offered to help the Poteryashka shelter in St. Petersburg send dogs to Finland. Volunteers at the shelter raised money to transport 32 dogs, including physically injured pets and those who had lived in the shelter for years. However, suspicions were raised after the volunteers received photographs which were supposed to be from Finland. After further investigation, the volunteers learned that the dogs had not left Russia. With the help of police, the shelter volunteers discovered they had been cheated and the dogs were thrown out on the streets. Luckily the shelter workers were able to find more than the half of the animals and one of the dogs even found a new home on its own while out on the streets. Luckily, such stories of deception are rare exceptions, with an increasing number of dogs finding a happy home. Cameo, a Russian stray, was hit by a car in St. Petersburg and lost her leg after the accident. An adult dog of nearly six years old, Cameo spent more than a year in the shelter before a family from Sweden noticed the three-legged dog on the website. The adoption preparations and negotiations took seven months and in that time, the Swedish family with the Russian volunteers from the Poteryashka shelter even managed to secure a free flight for the dog with the local airline company.. Traveling seven hours to meet the dog at the airport, the Swedish family greeted Cameo with Swedish meat balls and took her straight home. The Swedish media continue to cover the story, which helps attract attention to the problem of abandoned pets, while Poteryashka continues to get photos of a happy Cameo sleeping in her bed, playing and enjoying her new Swedish life. “When you bring in a miserable dog and, after two or three months, see her self-confident and happy with her new family, it gives you happiness,” said Gracheva. “If the dog is very timid and then learns to trust people, it is a big success. Most of the adopted dogs go on to live as ordinary pets in families. However, I will share with you one different story,” said Arjas, “It is about Vinski, who came to Finland as a puppy after being badly bitten by another dog at the shelter. According to Poteryashka head Marina Pushenko, it does not matter which country the dog ends up in. “The most important thing is that the dog feels good there,” she said.